Missionaries who first came to Mexico with the conquistadors had little success in the beginning. After nearly a generation, only a few hundred Native Mexicans had converted to the Christian faith. Whether they simply did not understand what the missionaries had to offer or whether they resented these people who made them slaves, Christianity was not popular among the native people. Then in 1531 miracles began to happen. 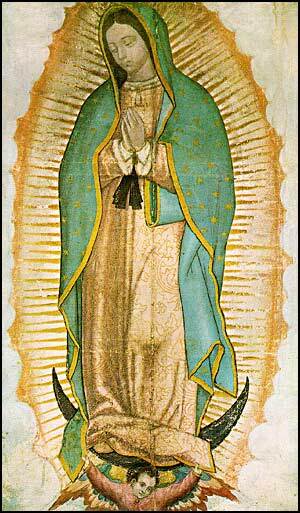 Jesus' own mother appeared to humble Juan Diego. The signs -- of the roses, of the uncle miraculously cured of a deadly illness, and especially of her beautiful image on Juan's tilma -- convinced the people there was something to be considered in Christianity. Within a short time, nine million Native Mexicans had themselves baptized as Christians.